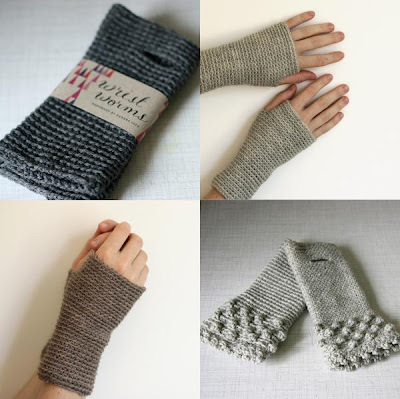 Sandra Juto of smosch has a shop chalk full of great little fingerless gloves, called Wrist Worms. I have a similar pair I love, but these are even better...handmade! Although where I'm going in Washington, I'll be needing the fingers. 0° right now!